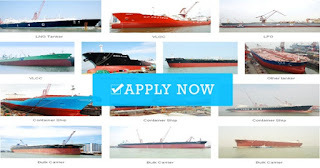 MARINE JOBS - Rupeksa Jsc company location on Lithuania open recrutiment crew for Lpg vessel, container, bulk carrier, oil tanker ship and more joining ASAP. Has certificate of being in accordance with requirements of regulation 1.4 ILO maritime convetion 2006. Provides marine recruitment services for merchant and offshore sector looking position Deck officers, engine officers, ratings. Please share and subscribe available marine jobs with www.seamanjobsolution.com solution for seafarers looking job NO SIGNUP - NO LOGIN. 0 Response to "Urgent Crew For Lpg Vessel, Container, Bulk Carrier, Oil Tanker Vessel"